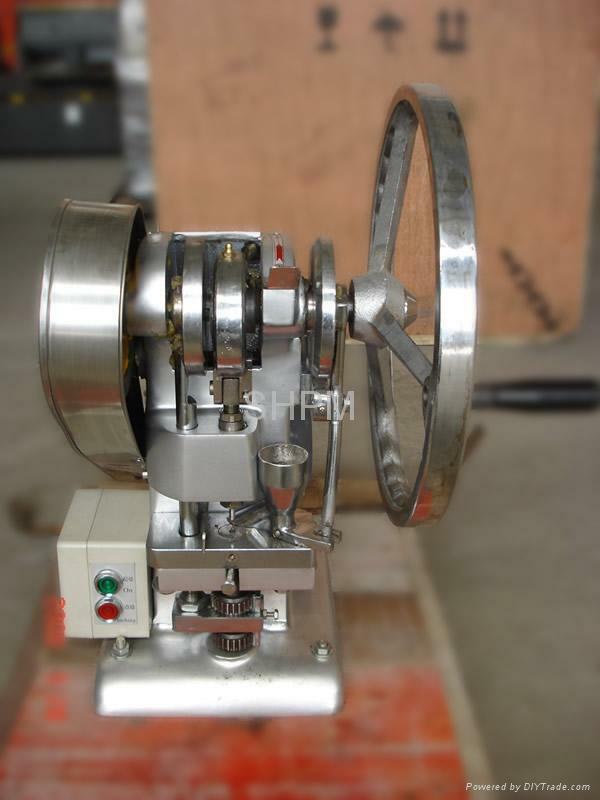 This machine is designed for pressing round tablets from various granular materials, chemical, food, hospital, scientific research institutions. It is applicable to trial manufacturing in lab or produce in small amount different kinds of tablet, sugar piece, calcium tablet and tablet of abnormal shape. It features a small desktop type press for motive and continual sheeting. 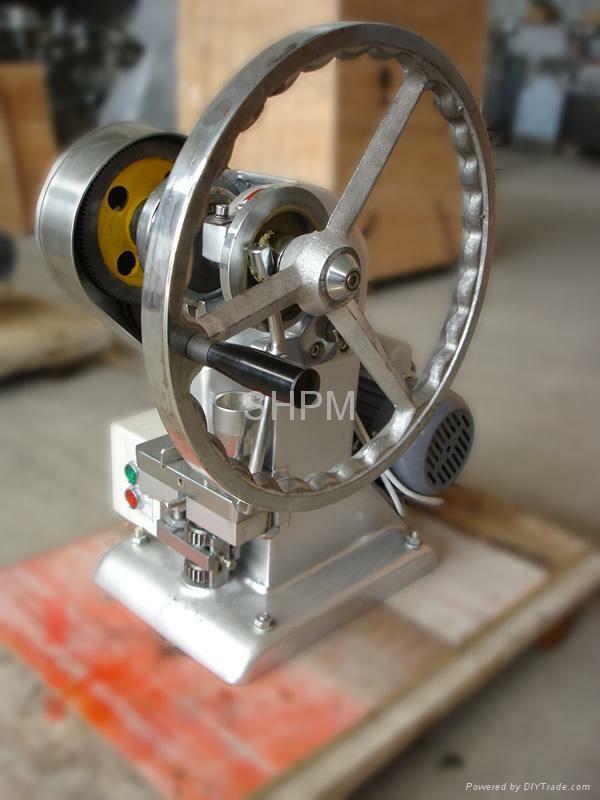 It can also be hand-operated easy to be operated and maintained, small volume, light weight. One set of punch and die is mounted the depth of the filling material tablet press and thickness of the tablets can be adjusted.